Soil isn’t the sexiest topic for a blog post, but it’s been on my mind quite a bit of late. Part of the reason is I just finished editing/rewriting an e-book on composting for a client, and the organic matter in compost is at the heart of great garden soil. I’ve also had conversations with several friends and gardeners about soil recently. (Yes, I am the nerd that sits under an umbrella at a pool party and talks compost and compost making with fellow gardeners.) So, it’s no surprise that I’ve been thinking about my own composting efforts and the state of my soil’s organic matter. Above: A stockpile of chopped leaves for amending soil and mulching at Mt. Cuba Center in Greenville, Delaware. Since healthy soil is the key to having a successful garden, understanding a bit about what’s going on down there is helpful. I could actually sum up a post about soil improvement in a single sentence: Add organic matter as often as possible. It’s that simple. You really can’t add too much organic matter. Plus, that statement applies to soil improvement everywhere, not just here on the Eastern Shore. In my garden, I mostly add it by amending soil when planting and by mulching with organic matter such as composted wood chips or chopped leaves. I also compost religiously, although I don’t have fast, hot compost piles that need turning regularly. Organic matter is an essential part of any healthy soil, even though it only makes up about five percent of the total volume of good soil. (The term organic matter refers to plant and animal matter, both living and dead, so it includes things like living and dead plant roots, bacteria, fungi, insects, etc.) It plays multiple roles, but one essential function is that it helps hold water in the soil. Humus is the dark colored stable form of organic matter that remains after organic matter such as compost has been digested completely by soil microorganisms. It can hold 80 to 90 percent of its weight in water. (In laboratory tests, where water doesn’t drain away as it does in soil, humus can hold 180 percent of its weight.) Another essential function of organic matter is that it feeds beneficial microorganisms and animals in the soil—and in a compost heap. These microorganisms and animals are responsible for fueling the decay cycle that releases nutrients to plants. 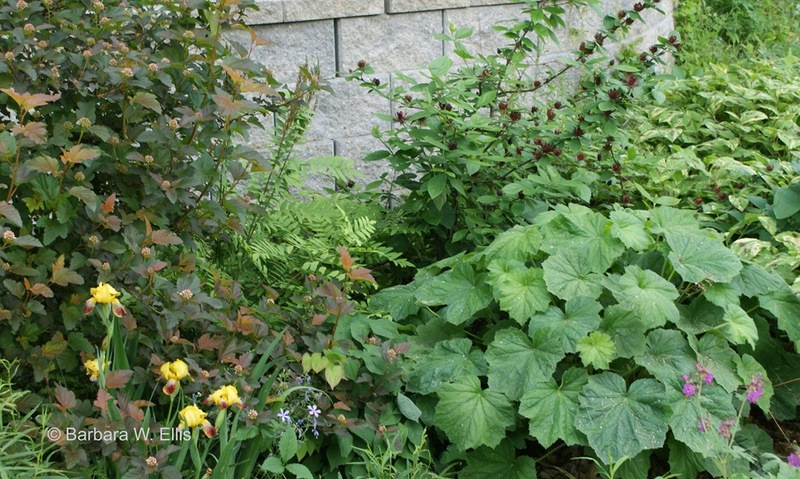 Most gardeners have heard of soil texture, even if they haven’t heard that term specifically. Soil texture refers to the sand, silt, and clay portion of soil. Here on the Eastern Shore, clay soil is a common complaint, but there also are gardeners who find themselves dealing with sandy soil. According to the USDA Soil Conservation Service’s Soil Survey of Kent County, Maryland, silt loams are a common soil type. My own garden is mostly silt loam. (The Survey contains lots more information about particular soil types, including the fact that all of the soils on our property have a high water table along with moderately slow to slow permeability. That means if I want to grow plants that need well drained soil, especially in winter, I need to pick sites carefully!) In my garden, prior usage also is an important factor. There used to be a public landing on our property, so berms of mixed soil and rock plus areas with solidly compacted soil are constant challenges. The bad news about soil texture is this: From a practical standpoint, you can’t change it. Adding a bag or three of sand to a clay soil just makes cement. It doesn’t improve conditions for plants. The good news is that you can change another characteristic of soil, and that is its structure. Plus, creating soil with good structure does improve conditions for plants. Gardeners who talk about friable soil are referring to soil that has good structure, and organic matter plays a very important role in creating it. Above: To prepare beds here at Hackberry Point, I add plenty of organic matter, plus add topsoil as needed to level out sites where there isn’t sufficient soil. Soil structure refers to the way the individual particles—the sand, silt, and clay—clump together. Organic matter, and the organisms that help decompose it, play major roles in helping soil particles form clumps, called aggregates. Aggregates in good soil break apart easily. (These aren’t the hard clods that develop when clay soil dries out!) The spaces in-between the particles and the clumps are important, too. Soil with good structure has large pores that allow water to drain away easily, to be replaced by oxygen and carbon dioxide (air), along with small pores that hold water in the soil where it is available for plant roots. Here’s the fact that stunned me when I was first learning about soil: Fully half of the total volume of good soil can be composed of pore space. The percentage of pore space varies, obviously, but in ideal conditions only 45 percent of the volume is composed of minerals (sand, silt, and clay). Five percent is organic matter. The rest of soil is pore space. Half of that pore space (25 percent of the total volume) is composed of large pores that fill up with water during rainstorms, but drain quickly and then hold air in the soil, which roots need to grow and beneficial soil organisms need to survive. The other 25 percent of the pore space consists of small pores that hold water in the soil. 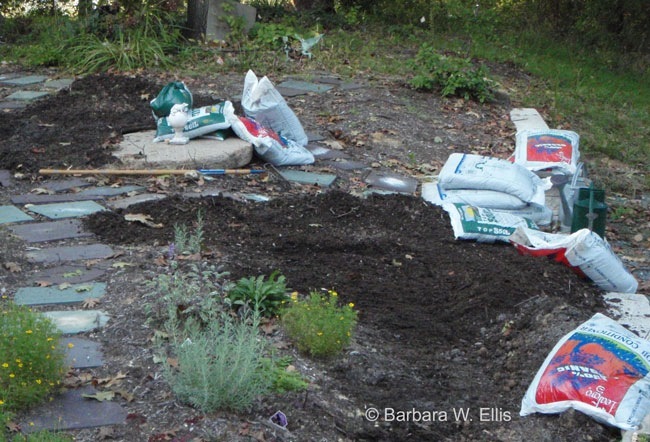 Understanding how soil clumps or aggregates form—and how they can be destroyed—is important for any gardener who wants to improve the performance of their plants. Once you know about the existence of pore space, it’s immediately clear why walking on the soil isn’t a good idea: It crushes aggregates and smashes the pores, and thus affects the balance of water and air available to plant roots. Sandy soil. Droughty and low in nutrients, sandy soil has lots of large pores with very few small ones. (Pure sand has no structure at all.) Sandy soil also has a high metabolism, meaning that microorganisms burn through organic matter at a very high rate. One reason that organic matter gets consumed so quickly is that there’s plenty of air present for microorganisms. While clay particles, and to a lesser extent silt particles, are quite effective at holding nutrients in the soil, sand particles aren’t, which is why sandy soils are low in nutrients. Adding organic matter helps fix both of these problems. To keep pace with sandy soil’s high metabolism, add compost or other organic matter to the soil every time you dig a hole. Also keep sandy soil covered with organic mulch to protect it, replenish organic matter, and help keep it cool. Clay and silty soil. Unlike sandy soil, clay soil has a multitude of tiny pores. The clay particles and tiny pores are quite effective at tightly holding on to nutrients and water. For this reason, clay can be very fertile. The problem with clay is that nutrients are held so tightly plants can’t take them up. Plus, when it rains, there aren’t enough large pores, so water doesn’t drain through them well, and plant roots can’t get the air they require to grow. Clay can be wet and cold in spring, too. And if clay soils dry out, they turn to concrete and can be very hard to re-wet. Silty soils fall between clay and sand, but organic matter functions the same way: It helps fuel microorganism activity and the formation of soil aggregates, which help form large soil pores and thus bring air down into the root zone. It’s important to remember that soil aggregates are fragile. They are always breaking down and ideally new ones are always forming. Stop adding organic matter, and the process slows down. It’s also really easy to destroy soil structure, regardless of how much organic matter you add. Walking—or driving—on soil as well as tilling frequently are common ways structure gets destroyed. Tilling is especially a problem in vegetable gardens, since it breaks apart aggregates. Break apart the aggregates too many times—especially without adding more organic matter—and the large pore spaces will be destroyed. So, always add more compost or other organic matter whenever you till. 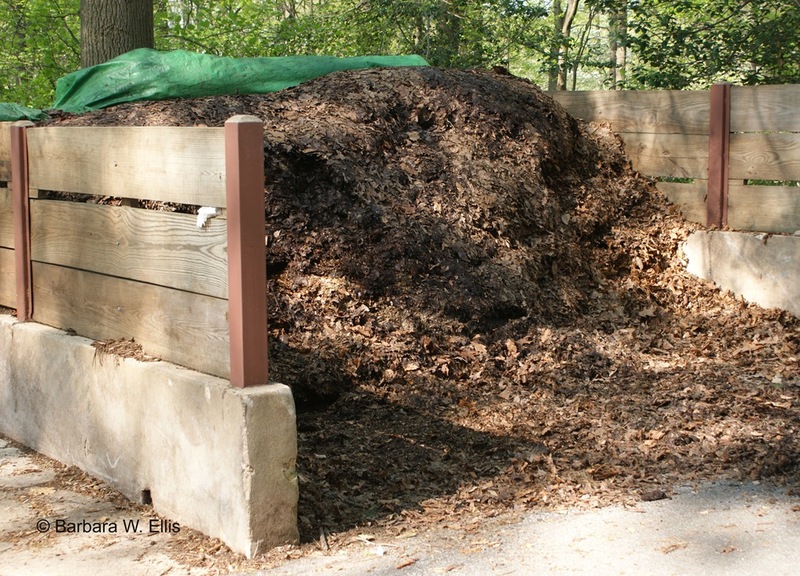 Spread a layer of compost or well-rotted manure over the site, then work it in. Better yet, avoid tilling whenever possible. And, the next time you think about walking on soil, cutting through a garden bed, or, worse yet, parking on it, remember that 50 percent of good soil is pore space. Crushing the pores causes compaction and damages the pathways that take air and water through the soil. Designing beds that are narrow enough to reach in from either side to tend plants is one way to keep from walking on the soil. In my garden, I wanted large, deep beds that are far to wide to tend from either side. So, my beds feature a network of narrow paths that allow access to plants without trampling on the soil. I also have maintenance paths that run behind beds for access. While these steps don’t always keep me off the soil, they eliminate most of my infractions. Above: A maintenance path runs along the back edge of this border, along the base of the wall to allow access to plants without trampling on soil. Digging, tilling, or turning soil when it is too wet or too dry also destroys soil structure, again because it breaks up the essential aggregates. Before getting to work in the garden, always pick up a handful of soil and squeeze it into a lump. If the lump crumbles into dust when pressed with a finger, the soil is too dry. Water deeply and test again the next day. If a handful of soil squishes into a lump that can’t be easily broken apart with the press of a finger, the soil is too wet. Wait a day or two, then test again before digging. Finally, if a handful of soil can be squeezed, but breaks apart easily when pressed with a finger, the soil is suitable for digging. Finally, it’s important to remember that organic matter gets used up, and replenishing it is an important aspect of gardening. Healthy soil is a living community that is rich with microorganisms, fungi, and a host of insects and other soil-dwelling animals. Organic matter is the fuel that keeps the community going and as it’s this community that releases that feed your plants and help build soil aggregates. A portion of the organic matter microorganisms feed on is supplied naturally, as microorganisms die, for example. But to maintain a robust community, and therefore healthier plants, adding organic matter is essential. Okay, enough already! (Does this post help you imagine our conversation at that pool party?) I hope this post will help some of you think about your soil a little bit differently next time you step out into the garden. It’s really quite an amazing gardening partner. This is a great post, an informative article and I agree. Soil is everything. I spent five years helping neighbors build community gardens on vacant land in the city of St. Louis and I can’t tell you what a huge deal it was to build good soil. You can’t buy it, you’ve gotta build it. Tilth. I love my compost piles almost as much as the gardens……and add nutrients in the form of seaweed and algae every chance I get. Do a piece on composting, eh?